I would invest in jumper cables before a PV charger. When your battery is dead, you want to start it immediately, not 8 hours from now assuming it dies during the day in the sun. That said, using one to maintain the battery of a vehicle that sits is a good use. If your battery is still weak despite PV "maintaining" it, then you need a higher output PV. The battery will eventually fail from discharging so low. 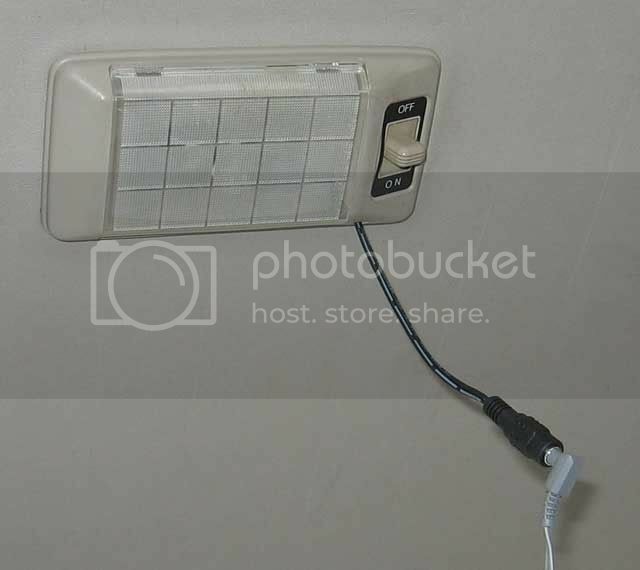 If I could find a flexible solar panel that was a long rectangle in shape....I'd RTV (silicone caulk) it to the top of my Focus and hard wire it into the system by running a wire across to the door opening. A solid one like I have now COULD be used...just would need to fashion some wood blocks to make it conform to the complex shape of the roof....and keep it to the back. I once mounted a custom made (DIY) set of louvers to the rear hatch window of a 280ZX using silicone caulk...stayed on there for 2-3 years at least...till I sold the car. It was made of wood and alum strips. The wood was treated with thinned varnish to seal it. RTV of a certain kind is what is used to mount rearview mirrors to the inside of your windshield. Eventually I need to take a day to figure out what the significant electrical draw is. I think it's something with the remote start system. Great idea. I've ordered this charger for 18.79. How did you splice the barrel plug to the dome wire, and which wire? I put it on the back of the sunvisor and wired it to the hot lead of the dome light. It doesn't directly increase fuel economy, but it makes me feel better about coasting home at night. I know that the partly-drained battery will recharge the next morning. I park facing the morning sun! The panel will also recharge a dead battery enough to start an engine. Of course it'll take a few hours, but it will do it. You do realize even a small unregulated solar panel can over charge and damage the battery? I have found that putting the solar panel behind vehicle glass tends to cut panel output by around half. I have 180 watts of solar on top of my suburban and I would not expect it to increase fuel economy unless the belt is removed from the alternator. A small solar panel like that, with its output cut in half wont do squat. Save your money, do aero mods. Negative of the barrel plug to ground and positive to the positive wire feeding the dome light. Should be the only wire with 12v. I've now had 2 of the cheaper solar panels go bad on me....last one was being used under the windshield to keep the batt charged in my Focus....battery ended up flat or dead....it did recharge though. Removed the panel...my guess...defective diode. Could likely buy a new diode and solder one in....? Batt cost = $100 or so? I have one and it died in very short order, maybe a month, and it was actually the panel that was bad. I've gone to ebay flexible panels without problem. A bit more expensive, but they also put a decent charge into the battery. I've used a few and never had one fail, but it's worth spending the extra few bucks on good solar. The savings will really come from the lead acid battery lasting longer. A one amp solar panel on a 40ah flooded battery should never be at risk of over charging it, if it was a plug in trickle changer then you'd want 100/1 ratio, it works because the amps going into the battery dip as it gets full and lead acid can handle it. Thanks. I finally got the housing apart and see there's only the one wire. What did you use for the ground?